Cooperative horror, where you have to survive in the open world. The game takes place in an alternative version of the USSR 80-ies, when the island of Granic was in the epicenter of a mysterious disaster. The government is trying to hide all the information about this incident because of all its forces and to eliminate all its consequences. To do this, they send volunteers to the island to investigate anomalies, collect information and carry out various assignments for a government association called «New World». The player will assume the role of one of these volunteers. Alone or with partners, you will go explore the abandoned bases and the world, which is filled with terrible monsters and insane survivors. Version of the game 1.2.8 was downloaded on 14/03/2019, completely identical to the activated licensed copy of the game on Steam. The HOODLUM release freezes if you try to play \"Open\" game mode. 5. Download & install Update v1.0.2 / v1.1 / v1.2 / v1.2.8, in game folder. This game has been updated 14-03-2019, 15:18 to the latest version v1.2.8 (upd.14.03.2019). The description is updated, the link to the crack from pRoStO-ice | CODEX emu. The game is updated, the link to the crack for the game online is added. awesome work thanks! does MP work? doom, yes it works, the main thing is to select the necessary crack online: №2 or №3. Host: Run and create a game, invite your friends through Steam Overlay (Shift + Tab). Note: Do not forget to make backup copies of the replaced files. If you do not see the created servers, then try to join through the "Friends list" on Steam. When i start game jumps this window. Did I do something wrong? probably yes but I dont know what. Angeroth, if you do everything according to the instructions, this should not be. I downloaded it again and now it works you re awesome. Thanks! I need to change the language to Spanish!!!! Awesome !! Keep updating the game like you do! Thanks alot!!! - Localization to brazilian portuguese language. 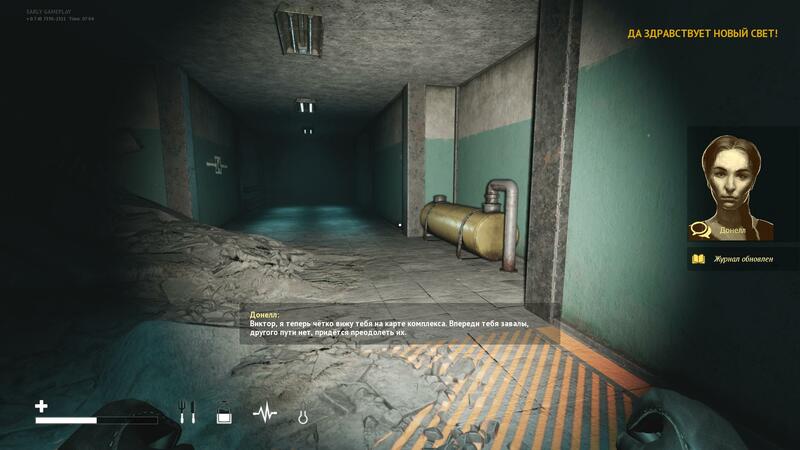 - Players can craft and use grenades, throwing knives, molotovs, flares, chem lights. 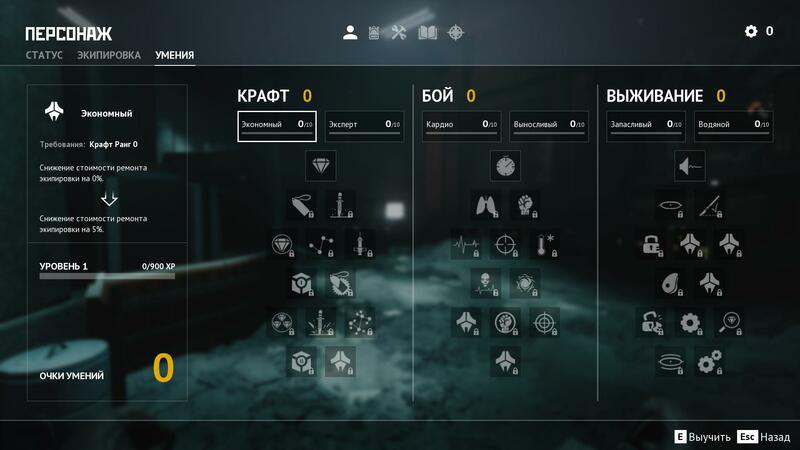 - In the equipment menu players can use the hotbar for items, you can equip meds, food and water, and throwable weapons in it. - We have added new interface element, quick access wheel where you can choose equipped weapons and items from the hotbar. - New class of madmen was added. They use torches and may set player on fire. You can meet them at night time. - New light soldiers can set player on fire with the modified mace. - Marauders can set the player on fire with the molotovs. - New QTE mechanic to stop the burning when enemies have set you on fire. - General improvement of the AI — blocking, attacks, debuffs for the player. - Improved group fighting for the NL soldiers and marauders. They can surround players and attack together. - Changed the sound of the max stress level. - Added the sound of a new trophy. - Merchant in Oasis now has voice lines that activate upon interaction. - Problems with the texts in interface and on the road signs — fixed. - Small fixes in the russian and english localization. - Rebalance, optimization and changes to the radius of the sounds. Will you upload the new version 0.7.80? Thanks! Pneumatic elevators are added to the game — fast travel system. After you fix it, you can travel to the second station for a small fee (this way you can only move along one line from point A to B and back). Updated UI for crafting and inventory — we received a lot of feedback about clarity of craftable items and item descriptions in the inventory. We tried to fix the problems and make these screens more friendly. The ruptures will change their positions more frequently during a session. Changed the starting screens of the game ( you can skip logos). Changes to the custom settings UI — we have changed the names and descriptions of different options. Players should be able to understand what each option means now. Increased quality of icons in the UI. Ranged weapons had problems with the durability in the UI — fixed. Small fixes to several sounds. Small fixes in several locations. There was a problem with the interface in the prologue, some items could not be looted because of it — fixed. If the special animal needed for a side quest ran away too far, players could not find it after a restart of the game — changed, now the animal will respawn in its initial spawn point at the start of the game. It was impossible to make a modification using the Stick from the bunker alpha — fixed. why is this only an update download? where's the whole game? and where's the patch for 7.84 - 7.88 - 7.95 - 7.98? or can I skip from 7.84 - 8.00? can somebody explain to me please? Does this still need steam installed? A question, Depending on which crack is selected, there are three in the description. "is the crack work with any version of the game because i downloaded v 0.8.28 i cracked it but nothing happened i can't see any server seems multiplayer don't work "
I read somehwere on the internet someone say that the reason it wouldn't start is becasue it needed steam. Which I do not have and dont really want on my computer. Oh okay, I see the 3 versions now. We have changed the way locations are loaded, this should improve the load speed and decrease the freezes. 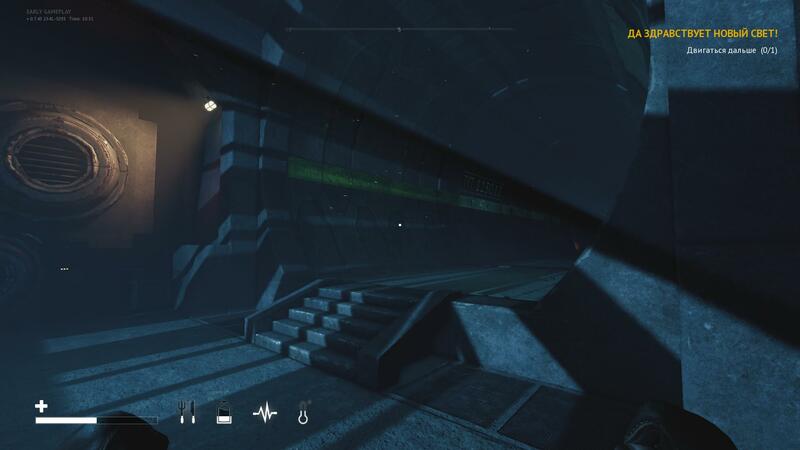 Optimizations of different locations: Southern Bay Pier, Lighthouse, Ray-2, Mokhpererabotka Station, Oasis, P.I.T. and many small changes of the southern part of the island. This is not the last patch with optimizations, the work will continue. New side quest “Church”. You can get it from Michael in Oasis. It is available after you finish the “Podzemka” quest. On the status screen you can see how much health, water or food will be given by the selected item. Updated the visuals of the “Tesla” modification. Oasis is populated by neutrals only. If an NPC can be interacted with during a quest, you can see it in the UI now. Maniac is 50% stronger now. Increased the rewards for the Hunter. Engineer requests the correct number of items for the “Podzemka” quest. There was no description of the available actions with the locked containers — fixed. Weight of boxes was too big — fixed. Sergei’s diary was added into the inventory during the quest “Madness” — fixed. When interacting with a retranslator the craft window opened — fixed. Markers for the craft benches, monoliths and retranslators quests are updated. Added quest markers to the side quests. Experience gains were displayed not correctly — fixed. Some enemies had wrong reactions to the weapon modifications — fixed. There was a bug when players could kill the Maniac before they received the task — fixed. Main quest had to be chosen again in the journal after a task was finished — fixed. Effects on the status screen stayed after the end of duration — fixed. There was a problem with the legs of the character when he was standing near a wall — fixed. how to play coop lan? Big update to the current leveling system, which includes new perks and character abilities. The experience already gained will be re-calculated in accordance with the new system - so you’ll have to re-allocate your points in the Perk menu screen. Please note: active combat abilities are going to be added to the game with the next patch. Second global optimization update targeted at increasing general stability and increasing average FPS count for the game. Difficulty rework - added an automatic healing for the easy and medium difficulty settings. Amount of enemy HP now scales according to the amount of players on the server. Added new Tutorial articles to explain some of the new features introduced in the update. New visual and sound effects upon completing Quests and getting a Level Up. Artifact “Heart” regenerates less HP due to difficulty rework and adding automatic health regeneration. The mechanic of getting perk points from NPCs got reworked. Now the points are being granted every five ranks instead of every rank. Fixes for visual bugs on several locations. Sometimes players were unable to see a card in Zalegorsk - fixed. A creature would sometimes not spawn on the hunting quests - fixe4. Intendant still wouldn’t spawn in the Movie Theater - fixed. A small patch, fixing some of the issues from the last update. You lose control during a slide, you can stop it with a block or attack; you can’t slide during a jump. Changed stamina cost of special moves. Added a new perk “Sensei” which decreases stamina cost of special moves. Improved flow from one move to another: for example switch from a heavy strike to a block is faster now. Problem using fist attacks while crouched — fixed. Problem using a stone or a consumable — fixed. AI Improvements - along with new animations for most of the enemies. These changes and additions along with combat improvements will make every battle feel more dynamic. The Dorg enemy now reacts physically to player’s attacks. Vanoga’s health points are now increased. Improved logic of player movement after sliding - if you hold the Sprint button after the Slide, player’s movement will change to Sprint; if not - the player will be in the Crouch position after the Slide. While playing in co-op there may be problems in displaying enemies’ weapons - fixed. Dorg’s attack or QTE pushed the player far away - fixed. Enemies’ head had graphical issues while discovering the player - fixed. Issues with displaying Revive UI elements in co-op - fixed. Issues with elemental attacks, where you hit an enemy with a modded weapon and cause the element to proc, every hit with a non-element weapon will re-stack the element - fixed. If during a stealth attack player continues to hold movement button, the player will run in stealth mode - fixed. Blocked attacks cause stamina to decrease at the start of movement - fixed. Sounds issues in “Maniac” quest - fixed. Sounds for the Demolition Man work correctly in multiplayer and are synchronized with his actions now. A big ram leak was fixed.